2. South on Main – The new “Double” at South on Main isn’t the first iteration of burger to grace their menu…but it’s certainly the best I’ve seen come out of their kitchen. 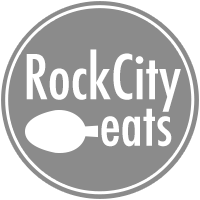 Two perfectly portioned medium-thickness beef patties, layered with their spectacular pimento cheese, a sweet and salty bacon jam, and their special “comeback sauce”. It’s really quite wonderful. 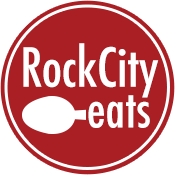 We all know Chef Matt Bell is capable of producing more elaborate dishes…but there’s nothing wrong with enjoying this guilty pleasure at one of Little Rock’s finest restaurants. 3. 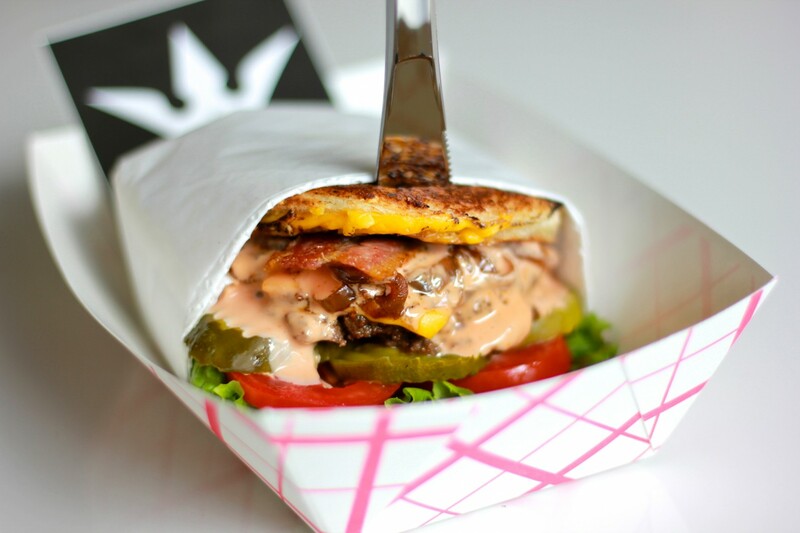 Monkey Burger – If you believe that “size does matter”, Monkey Burger is just what you need in your life. This thing is the Gregor Clegane of the burger universe…labeling their burgers as “big” is a gross understatement. These behemoth burgers are nothing to trifle with and even their standard double is bound to make the weakest burger eaters tremble with fear. But their size is not the reason they make this list…they’re also delicious. Classic toppings…nothing fancy. Cheese, pickle, mayo, lettuce, red onion, tomato…but simply done right. 4. 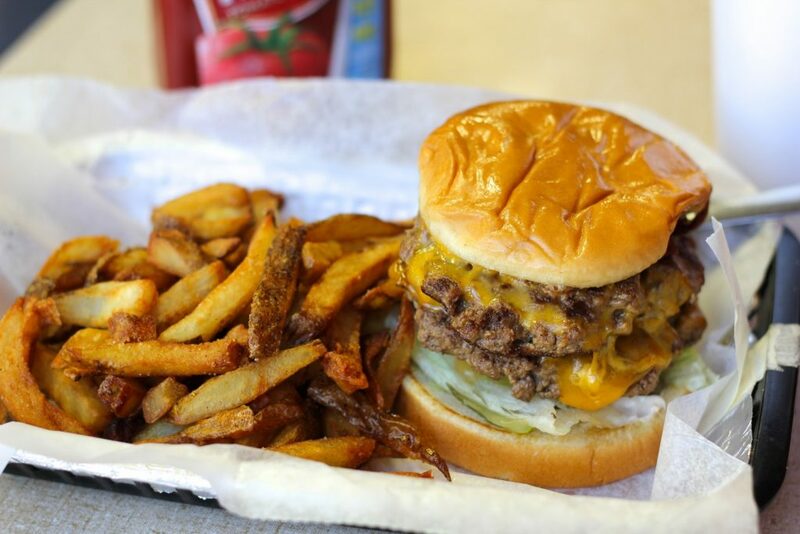 Brenda’s Dairy Bar – Nabbing this burger will likely require you to venture down the “road less traveled” to the small town of Shannon Hills just outside of Mablevale and southwest Little Rock. It’s an old roadside burger and milkshake stand that’s producing classic thin-patty burgers that really deserve more attention than they currently do. They’ve mastered the art of the flat-top grilled patty with slightly charred, crispy edges…the element that gives the “thin patty” burger its greatest appeal. If you’re anywhere in the area…get on over and sample one. 5. Ciao Baci – You know Chef Jeff Owen, right? The talented guy whipping up fancy-pants food at his beloved Hillcrest restaurant. Things like grilled Georgia quail and olive-oil poached Atlantic salmon. Well perhaps you’ve also overlooked the humble burger amidst such an array of intriguing menu items. Shame…because these burgers deserve to be loved. The “Americana Burger” is thick and hefty, but the soft bun supports it well. It’s dressed with Owen’s housemade “fancy sauce”, cheese, lettuce, tomato, onion, and pickle. Next time you’re snuggled up on the Ciao Baci patio…be sure to give the burger some thought. 6. Hillcrest Artisan Meats – Fridays are still hopping at everyone’s favorite meat counter. For Friday is burger day…and those who know, go. It’s no surprise…the H.A.M. team have essentially mastered all other meat-based entities, so why not churn out spectacular burgers? Just be sure to get there before they run out…which they often do by early afternoon. 7. The Box – This Little Rock institution is only open for weekdays at lunch…making it difficult for some to enjoy this fabulous downtown burger more often. But if you’ve yet to sample one for yourself, just know that there’s a reason these guys have garnered such a loyal following for decades. These greasy, cheesy burgers are the definition of comfort food. 8. 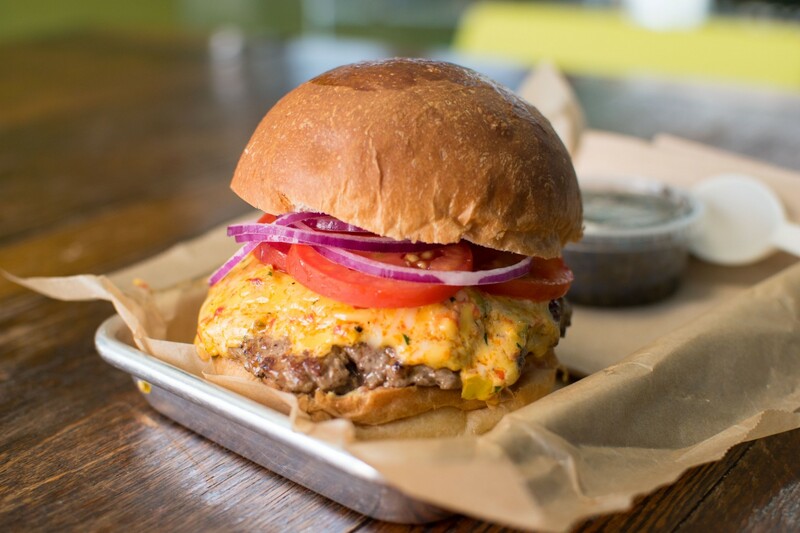 David’s – The Bubbus burger empire continues to expands across the state, which comes as no surprise to anyone who’s frequented this Little Rock gem. Fresh, high quality beef has always been the crucial element at David’s…setting them apart from a host of other inferior burger joints across town. 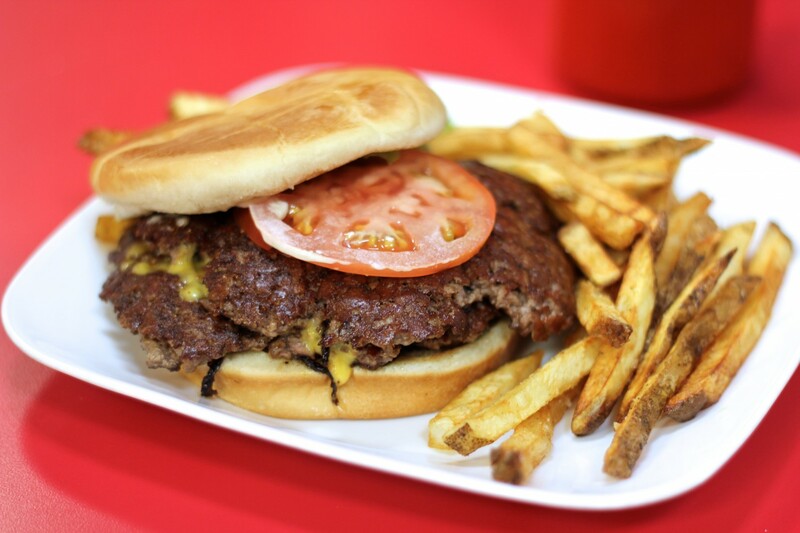 Plus the fact that they serve up some of the best fries around makes for an all-around top-notch burger experience. Keep up the good work, David’s. Little Rock loves you. 9. Big Orange – Yeah, you probably expected to see Big Orange here. But I need to throw some love at my current obsession at BO. 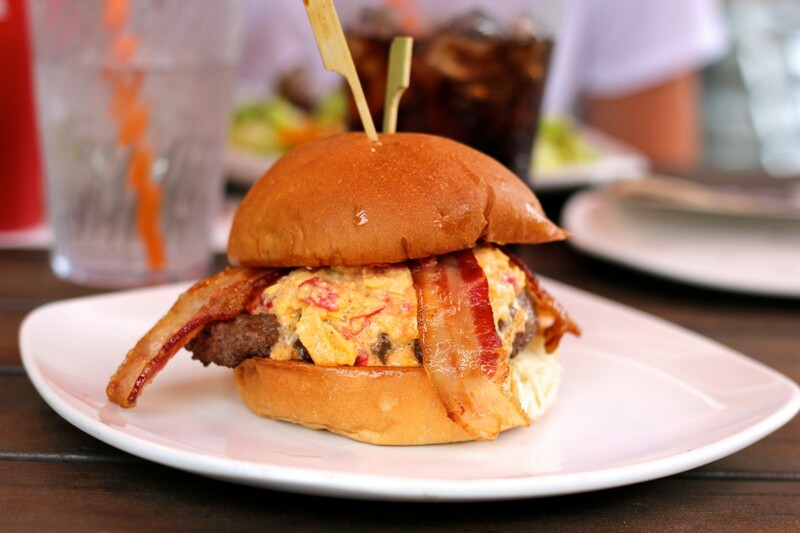 Their “Pimento Cheese Burger” has never let me down in the dozen or so times I’ve eaten it. I’m careful to order mine medium to medium rare to ensure an appropriate pinkness to my beef, but the combination of zesty pimento cheese with tangy and slightly sour pickled green tomatoes makes this an absolute delight every time I devour it. And I usually add bacon…which should really require no explanation. 10. The Root – A burger that will forever be near and dear to my heart. Every time I eat this thing, I’m still surprised by how delicious it is. It’s the poster child for fresh, handmade ingredients and a testament to the fact that “eating local” isn’t just a fad or buzzword used to sell more food…it actually translates to a better product in the end. Every day at 11 am, when the transition from breakfast to lunch begins at The Root, folks start to line up for the burger. And without fail, within a very short time, the line is out the door…the majority of patrons aching to rekindle their burger love with one of the finest specimens in this town.